On December 15, 2014, the U.S. Court of Appeals for the Federal Circuit in Promega Corp. v. Life Technologies Corp.,” reversed the district court’s decision and held that U.S. Patents 5,843,660; 6,221,598; 6,479,235; and 7,008,771, which are owned by Promega Corp., are invalid under 35 U.S.C. § 112, first paragraph, for lack of enablement. On appeal, the Federal Circuit held that by using the word “comprising” outside of the preamble there was no limitation to the set of loci and the claims included undisclosed embodiments that would have allowed a person skilled in the art to add new loci to the set of loci. Therefore, the Federal Circuit held that the Promega patents did not enable a person skilled in the art to practice the full breadth of this claim scope without undue experimentation. Prior to the suit, Promega Corporation entered into limited licenses with Life Technologies under several patents directed to systems for using fluorescent tags to label pieces of DNA, systems to compare DNA samples in paternity tests, to monitor bone marrow transplants, and for cancer testing. Promega later sued LifeTech. Promega later sued LifeTech, alleging that LifeTech was selling its kits for uses that fell outside of the terms of the license, thereby infringing Promega’s patents. The district court denied LifeTech’s motion for summary judgment of invalidity of the four Promega patents for lack of enablement and granted Promega’s motion for summary judgment of infringement. 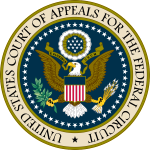 On appeal, the Federal Circuit reversed the district court’s decision. On appeal, the Federal Circuit reversed, reasoning that by using the word “comprising” outside of the preamble there was no limitation to the set of loci. Further, the claims included undisclosed embodiments that would have allowed a person skilled in the art to add new loci to the set of loci. Therefore, the Federal Circuit held that the Promega patents did not enable a person skilled in the art to practice the full breadth of this claim scope without undue experimentation. While use of the term “comprising” led to an invalidity ruling in this case, the Federal Circuit noted in dicta that it does not necessarily follow that every claim in which this phrase “comprising” is used will be considered invalid. According to the Federal Circuit, “as we stated in Gillette Co. v. Energizer Holdings, Inc., 405 F.3d 1367, 1371 (Fed. Cir. 2005) open claims “embrace technology that may add features to devices otherwise within the claim definition.” What is of particular importance in the Promega case is that the use of the term “comprising” is not in the preamble. While the term “comprising” in a claim preamble may create an assumption that a list of claim elements is nonexclusive, it “does not reach into each [limitation] to render every word and phrase therein open-ended.” Promega’s claims differ from customary “open-ended” claims in that Promega’s use of “comprising” in its “open loci set” limitation expands the claims in order to cover future advances in this unpredictable field. Interestingly, during the prosecution of the claims-in-suit, Promega itself repeatedly argued the unpredictability point to the patent office to support their patentability over the prior art and during the litigation itself in defense of their nonobviousness. “Promega explained that without a preexisting publication or teaching, a skilled artisan ‘could not predict with any certainty whether a given set of loci would co-amplify successfully together.’”  These arguments were held against Promega and shows that statements made during prosecution may have a fatal effect to the broad scope of claims.